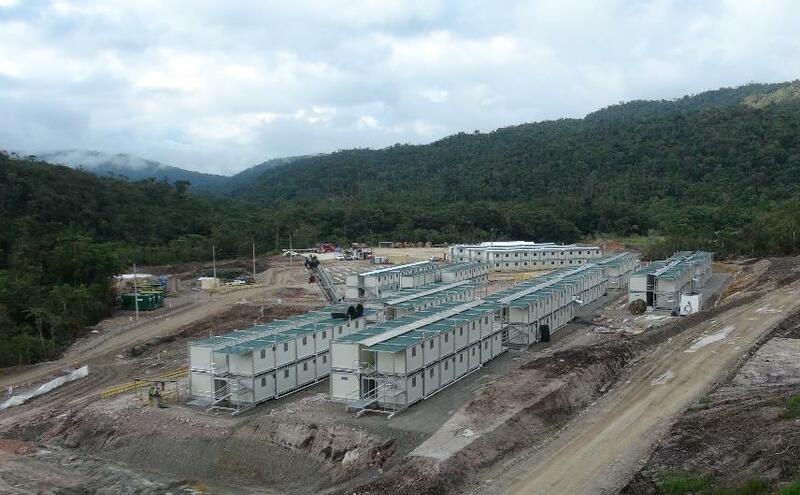 Lundin Gold Underground Mine Development Into Hard Rock at Fruta Del Norte | Lundin Gold Inc. Note to editors: There are three photos associated with this press release. 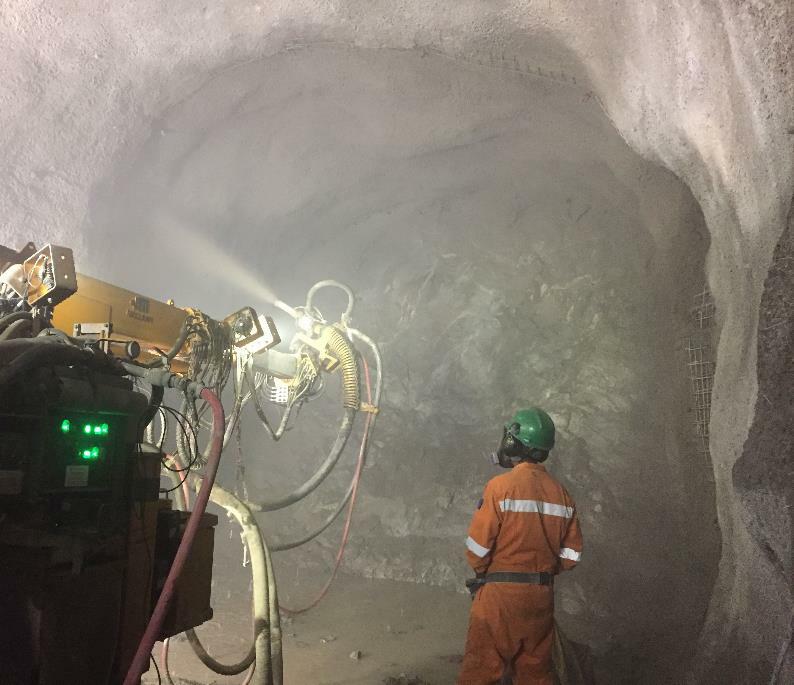 Lundin Gold Inc. ("Lundin Gold" or the "Company") (TSX:LUG)(OMX:LUG) is pleased to announce that soft tunneling was completed in December 2017 and mine development is now into hard rock at its Fruta del Norte gold project ("Fruta del Norte" or the "Project") in Ecuador. "Tunneling through soft clay was a significant risk factor to underground mine development due to the potential for ground failure. We were able to get through this challenging task, and the mine development is now advancing at a quicker pace," said Ron Hochstein, President and CEO of Lundin Gold. "We are also ramping up other major projects, including the process plant and powerline." The Company transitioned from soft tunneling to hard rock tunneling in December 2017, working through 77 metres of saprolite (soft clay) in the first decline and 69 metres in the second. 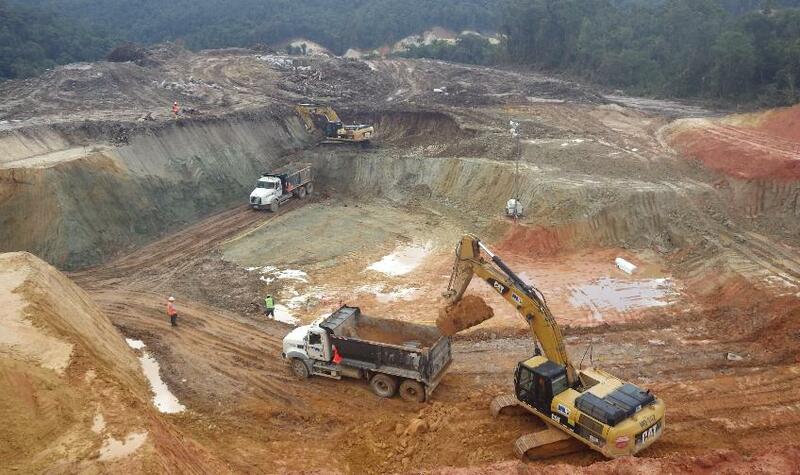 Drilling and blasting in hard rock commenced on December 7th in the first decline and December 17th in the second, and currently the advance in hard rock reached 100 metres and 78 metres, in the first and second declines, respectively. In October 2017, Lundin Gold awarded the long-lead time grinding equipment packages, including the SAG and ball mills (complete with motors) and the flotation and filtration packages to Outotec Chile S.A. The gravity mill, CIL and detox tanks, and ADR plant and gold room packages were recently awarded to FLSmidth USA Inc. TelSmith Inc. will provide the crushing packages for both the process plant and aggregate quarry crushers. ABB Inc. has been awarded switchgear and substation equipment and transformers packages. Most of the mobile mine equipment orders have been placed. Importadora Industrial Agricola S.A./Caterpillar will provide the underground mine scoop trams and trucks, as well as the surface earthworks and quarry equipment. Orders for the mine jumbos and bolters are expected to be awarded this quarter. The EIA for the powerline received final approval at the end of 2017. Easement agreements have been reached with 91% of affected landholders, and the Company expects the remaining easements to be obtained this quarter. Detailed engineering and procurement is well underway, and the engineering, procurement and construction contractor is on track to begin building the powerline this quarter. Regardless of difficult ground conditions, site earthworks are on schedule. Earthworks on the process plant is 13% complete with concrete mill foundations planned to start this quarter. The North Access Road is progressing well, and 32% of the road has been built. A second earthworks contractor was mobilized at El Pindal, where the North Access Road will link to the national highway system. Approximately six kilometres needs to be built to connect the North Access Road from either side. All other construction disciplines are actively working on the 1,000-person construction camp which is nearing completion, with over 60% of the units currently available for occupancy. Combined with the existing camp, there are more than 1,200 beds available. During the last month, approximately 800 people were at site, including contractors. This press release has been reviewed and approved by Ron Hochstein, P. Eng., a metallurgical engineer and the Company's President and CEO, who is a Qualified Person under Canadian National Instrument 43-101. The information in this release is subject to the disclosure requirements of Lundin Gold under the EU Market Abuse Regulation and the Swedish Securities Markets Act. This information was publicly communicated at 5:00 am Pacific Time on January 10, 2018. This press release contains forward-looking information in a number of places, such as in statements pertaining to the timing of first gold production, the timing and progress of the development, construction and operation of FDN, the timing and progress of the development and construction the powerline, the timing and success of permitting and regulatory approvals and the award of certain purchase orders and contracts and the acquisition of easements. Lundin Gold's actual results could differ materially from those anticipated. Management has identified the following risk factors which could have a material impact on the Company or the trading price of its shares: the ability to arrange financing and the risk to shareholders of dilution from future equity financings; risks related to carrying on business in an emerging market such as possible government instability and civil turmoil and economic instability; volatility in the price of gold; the timely receipt of regulatory approvals, permits and licenses; risks associated with the performance of the Company's contractors; risks inherent in the development of an underground mine; deficient or vulnerable title to mining concessions and surface rights; shortages of resources, such as labour, and the dependence on key personnel; risks associated with the Company's community relationships; unreliable infrastructure and local opposition to mining; volatility in the market price of the Company's shares; uncertainty with the tax regime in Ecuador; measures required to protect endangered species; difficulty complying with changing government regulations and policies, including without limitation, compliance with environment, health and safety regulations, and the cost of compliance or failure to comply with applicable laws; exploration and development risks; the accuracy of the Mineral Reserve and Resource estimates for FDN and the Company's reliance on one project; the Company's lack of operating history in Ecuador; illegal mining; uncertainty as to reclamation and decommissioning; adverse global economic conditions; risks associated with the Company's information systems; the inadequacy of insurance; risks of bribery or corruption; the potential for litigation; limits of disclosure and internal controls; and the potential influence of the Company's largest shareholders.